The credit card minimum payment is the smallest amount that a customer can make each month. This minimum payment is set by the credit card company. The amount varies depending on the customer’s outstanding balance and any fees due. The customer can choose to pay a set amount each month. This amount can be anything between the minimum payment amount and the full payment amount. For example, a customer could choose to pay £100 per month. When a customer makes the full payment, then the total amount showing on the current credit card statement will be paid. The payment is made when the credit card payment becomes due. 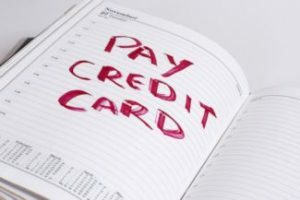 Credit card customers do need to be aware that any minimum payment, or regular payment amount, that is less than the full outstanding balance may result in interest charges. If you do not have any 0% credit card offers on your credit card, then interest will be payable with anything less than the full payment amount. A credit card customer does not need to always make the same payment on their credit card, every month. You could for example, make the minimum payment one month. Then a set amount of say £200 the next month and the full payment another month. However, do bear in mind what we said about interest charges above. So how do you change your credit card payment? A customer can change their credit card payment at any time. You do this by contacting the customer services telephone number provided by your credit card company and asking to change the payment amount. This telephone number can be found on your credit card statement. Some credit card companies, like the M&S credit card, do also now allow customers to change their card payment amount online. This can be through digital banking, or on a tablet or mobile phone with their credit card app. It is important to note that if you pay by direct debit, then your new credit card payment amount will always start from the date of your next statement.